A graduate of Trinity College, David Bobbett started his career training as an accountant with KPMG. 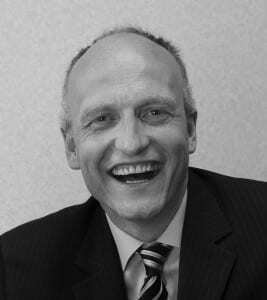 He joined H&K in 1985 as a management and financial accountant, before moving onto logistics, planning and business development and then becoming Managing Director of the European business in 1996. In 2000, he became Group Chief Operating Officer of the company worldwide. In 2002 he was appointed Group Chief Executive Officer and in that year led a management buyout of the company and he currently owns a majority share of the business with the remainder owned by the management team. He has described his biggest business achievement as dealing with a 50% drop in sales ten days after completing the MBO when their largest customer decided on a sudden change of strategy, with a drastic cutback in capital expenditure on new restaurants. David Bobbett restructured H&K to provide total restaurant solutions, incorporating manufacturing and logistics. David noted that the company now employs 1,200 worldwide with manufacturing and service office operations in Mexico, US, Canada, UK, Australia, Indonesia and most recently China. The Group Management and European Marketing are based in Dublin. Turnover has increased from $150m in 2003 to $500m in 2011. H&K delivers value driven restaurant equipment solutions into 80 countries, supporting 20,000 restaurants on an annual basis with their equipment needs. Their biggest customer is McDonald’s. Other important customers are Subway, IKEA, Jason’s, Applebee’s and IHOP. In 2008 and 2010 H&K was awarded McDonald’s Worldwide Equipment Supplier of the Year and achieved benchmark supplier status. The company continues to grow and has expanded into new areas of product development, project management and construction coordination, supply of replacement parts and operates around the world with a very strong Irish culture. In 2011, David Bobbett, founder of the Irish Heart Disease Awareness, discovered that his odds of suffering a heart attack had soared. A calcification test showed he had a coronary calcification score of 906. This score was equivalent to having arteries of an 87 year old despite the fact that David was only 51 at the time. David’s calcification score ranked him in the top one percent for his age. He had a one in four chance of a massive heart attack in the next year if not treated. Without having had the calcification test, the full extent of David’s heart disease would still not be known.